Maison Chenal, Pat and Jack Holdens’ main residence, was originally part of Poydras Plantation, owned by politician and philanthropist Julien Poydras. 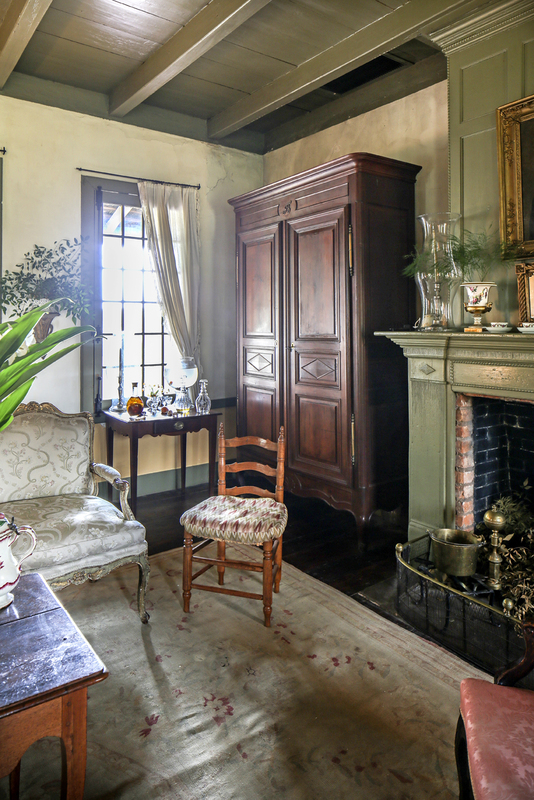 The main living area or salon is outfitted with a Creole-style mix of modest and elegant furnishings, most crafted in Louisiana. “Louisiana had that sort of French attitude: ‘We want to make it, but we want to keep our cultural sensibilities,’” Pat says. Photos by Melissa Oivanki. “We call this one of our windows in time,” says Jack Holden, motioning toward a shadowy bedroom corner where plaster has been peeled away like a curtain. Peepholes to the past like this one are scattered throughout the Pointe Coupee Parish property that Jack and his wife Pat call home. But what quickly becomes apparent to any visitor is that this entire place is a window in time. Over the past four decades, the couple has pieced together a rare treasury of historic structures that spreads across 75 acres and spans both sides of a rural highway. 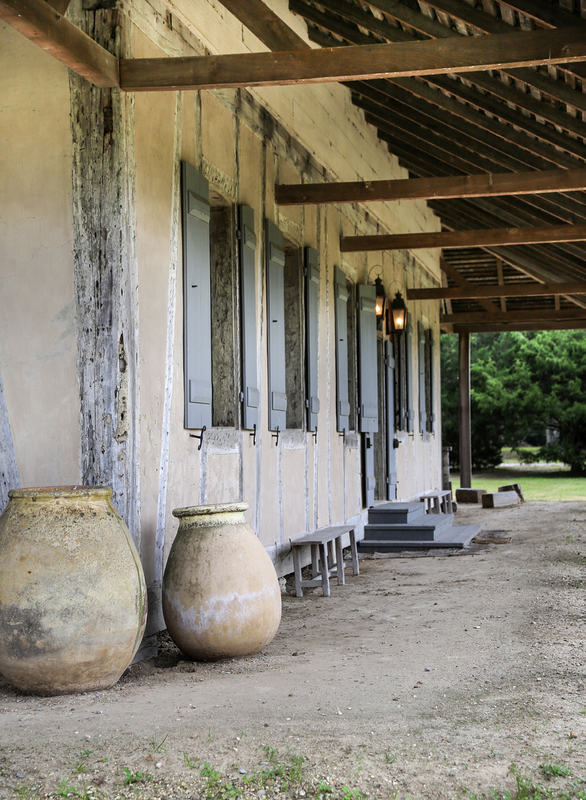 The buildings are filled with Louisiana-built antique furnishings and colonial period vignettes, all carefully researched and assembled in an effort to ensure that Louisiana’s cultural heritage is preserved. The fruits of the Holdens’ labors have been highlighted by national publications and TV shows, and the two have been sought after as speakers at workshops and symposiums. Closer to home, however, their collection is not well known outside the world of historians and antiquarians. Even passersby could easily overlook the property’s significance. After all, no sign proclaims that the LaCour House here is among the oldest surviving structures in the Mississippi Valley. 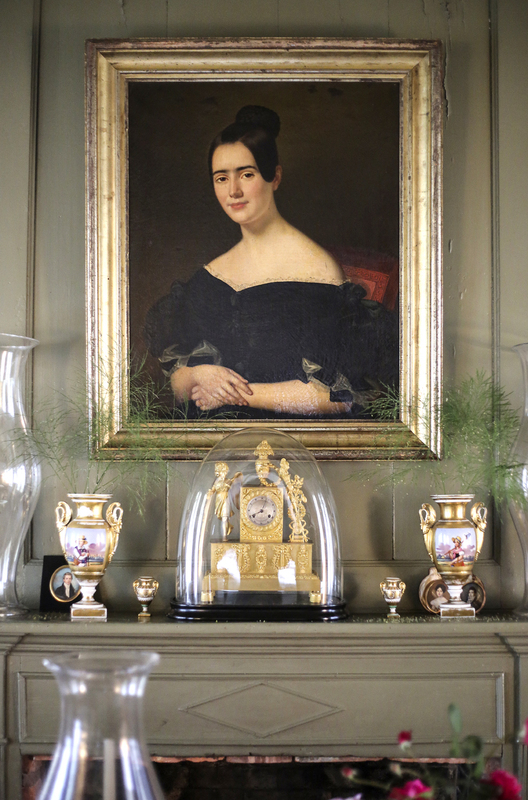 No visitor’s center offers glossy brochures detailing the contents of Maison Chenal, the couple’s primary residence and repository of rare antiques. 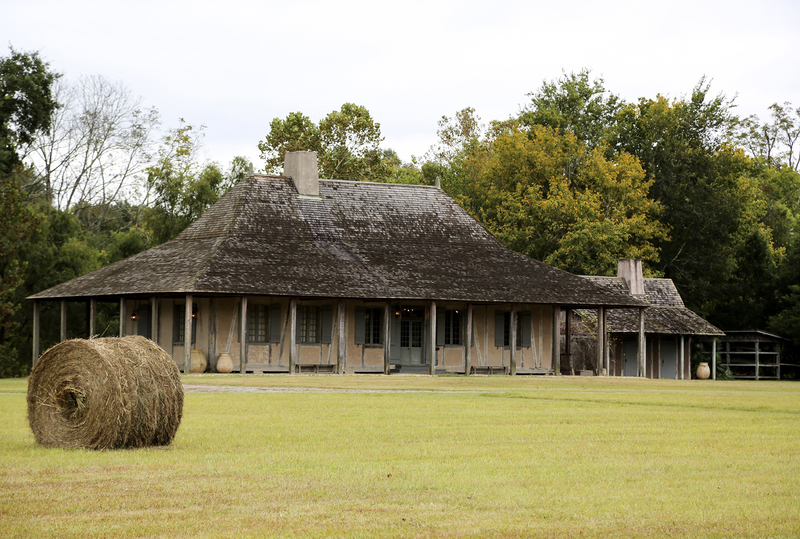 The Nicholas LaCour House, built in Pointe Coupee Parish in the early or mid-1700s, is one of the oldest existing buildings in the Mississippi River Valley. After it was renovated and moved many times by various owners, the Holdens rescued the house from neglect in 1996 and restored it to its original appearance. “Some people think it was part of the Fort of Pointe Coupee,” Jack says. To the Holdens, this is simply home. Pat tells of one of her daughters taking care of the birds roosting in the front yard’s circa-1820s pigeonnier while studying pre-med at LSU. Jack casually mentions that another daughter’s childhood chair was once borrowed by the Smithsonian—yes, that Smithsonian—for a special exhibition. When it returned, the chair was put right back into the everyday rotation. For as much as this is a showplace, it is also a real home, where elegant pieces are put through the rigors of regular living. That’s just how the original occupants—at Maison Chenal, Julien Poydras and his kin—would have done it, after all. 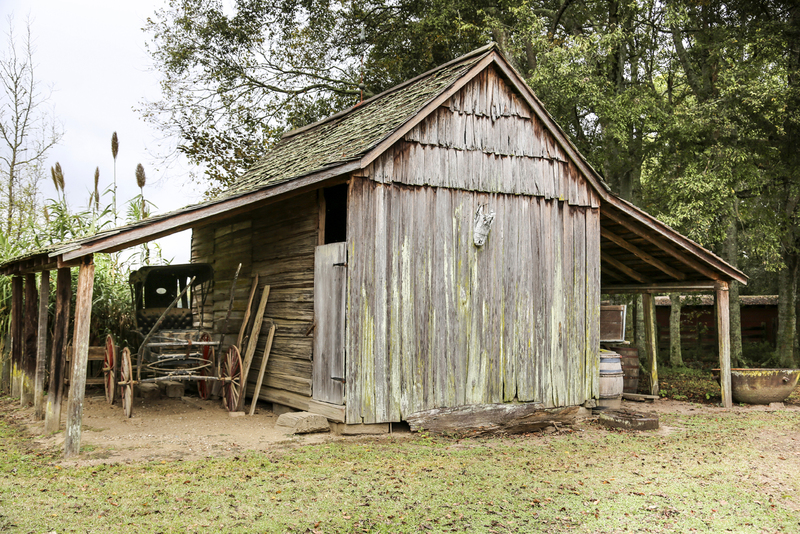 A mutual fascination with Creole material culture prompted the Holdens to first take an active interest in the worlds of preservation and antique collecting during the 1960s, at a time when Jack was also beginning his medical career. Jack, says Pat, was a “born collector,” while she was a “tenacious researcher.” It was a match made in historian heaven. 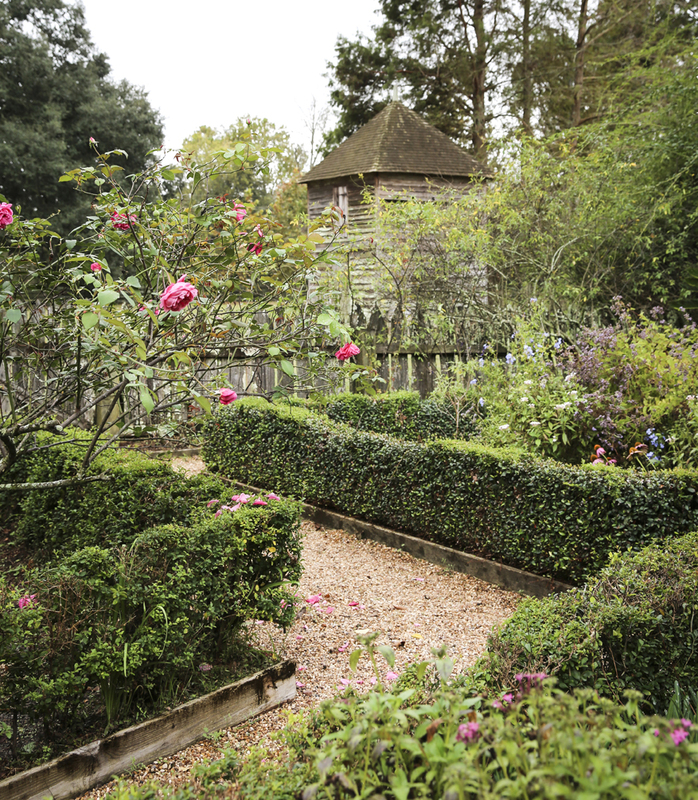 Maison Chenal’s front garden is laid out in the French parterre style, with a view of the pigeonnier beyond. 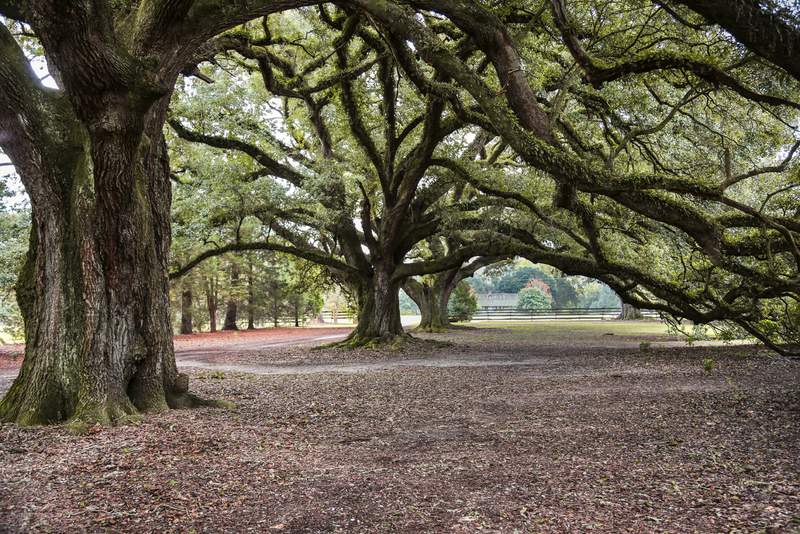 The couple bought this tract of land along Bayou Chenal in 1974, and they had the late-18th-century house they would call Maison Chenal moved to the site the following year. Abandoned and in disrepair, the house demanded significant restoration, and the Holdens helmed the project themselves, with help from their three small children, Wendy, Derrik and Chanler. By the early 1980s, the structure was finally ready for the family to move in with their growing collection of period antiques. They began adding to their ensemble as opportunities arose. The pigeonnier came next, followed by a kitchen building, a bachelor apartment or garçonnière, and a smaller house next door to the main residence that now serves as Jack’s library. Each was set in place in relation to the primary house just as it would have been hundreds of years ago. In 1996, the couple’s collecting reached new heights with the acquisition of the Nicholas LaCour House, one of the oldest surviving buildings in the Mississippi Valley. 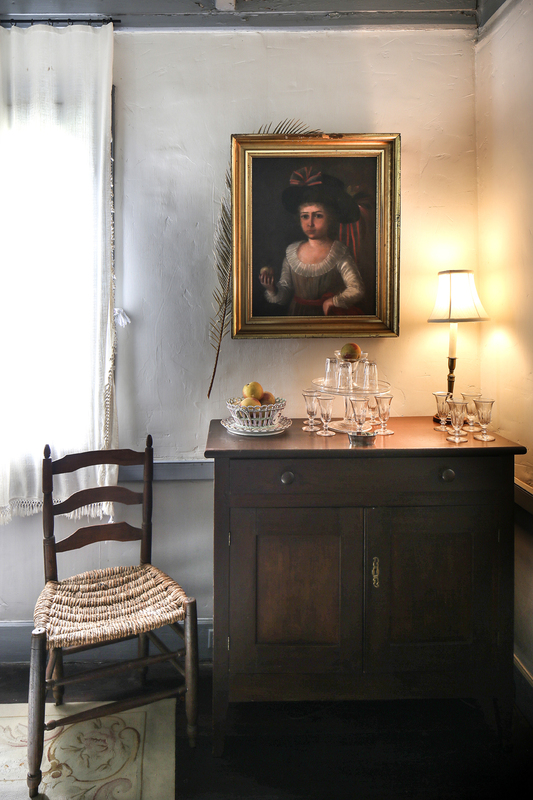 The restored two-room home, which dates to around the early to mid-1700s and was a childhood home of the late Lindy Boggs, now sits across the road from Maison Chenal and only a few miles from its original location. 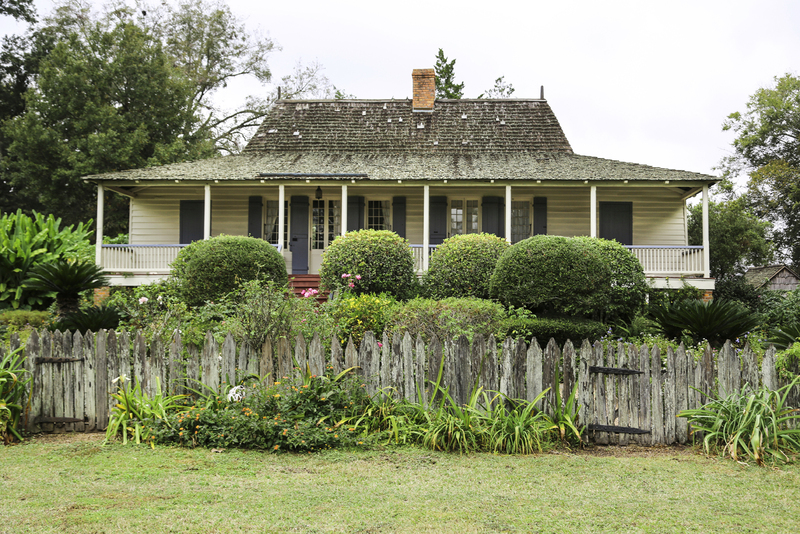 Beside the LaCour House is the final piece of the Holdens’ Creole compendium, a circa-1820 cottage they call the Bayou House. 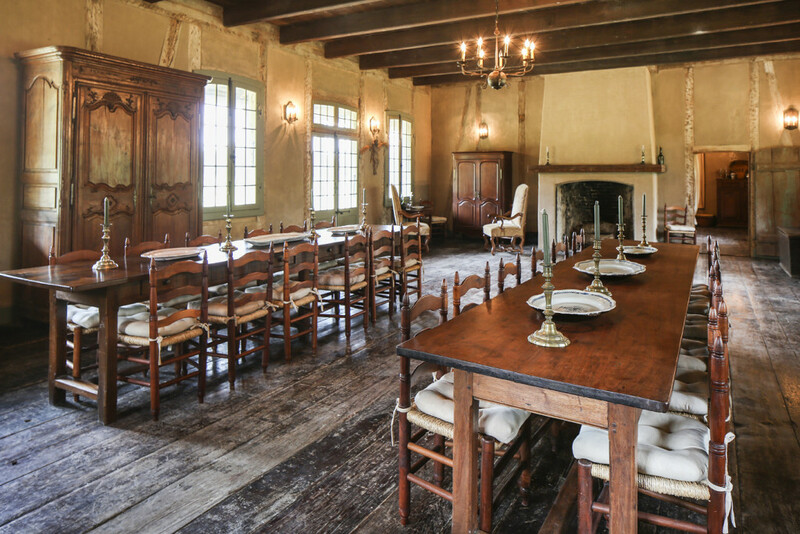 The salle, or dining room, in the LaCour House holds long tables that were once in the Ursuline Convent in New Orleans. The Holdens now use this space to host holiday dinners with extended family members. 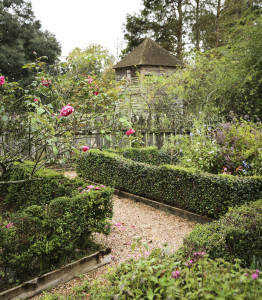 In the home’s rear, the gardens take a more utilitarian form, with rosemary and lemon verbena sharing space with hydrangeas and a muscadine vine-covered arbor. 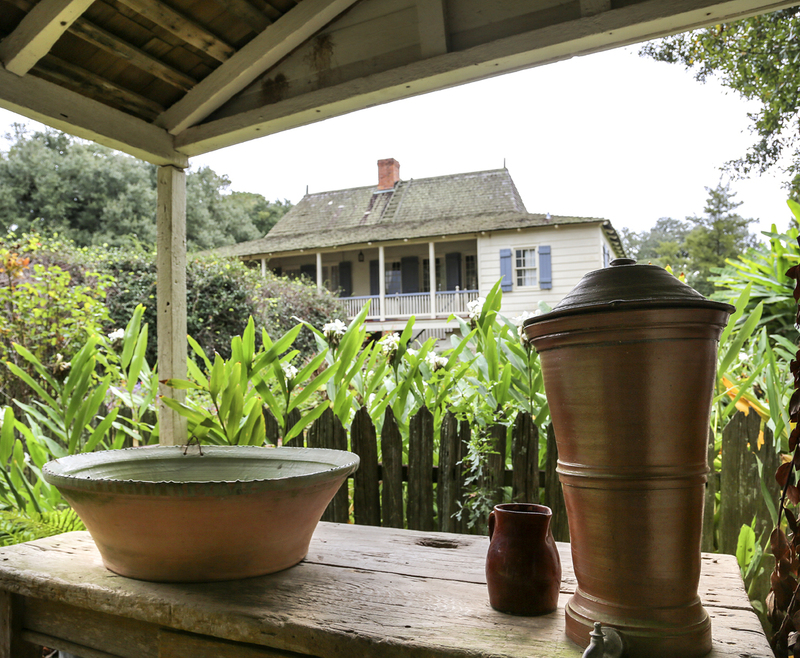 Behind the LaCour House, a picket-fenced vegetable and herb garden holds tabasco peppers and indigo. 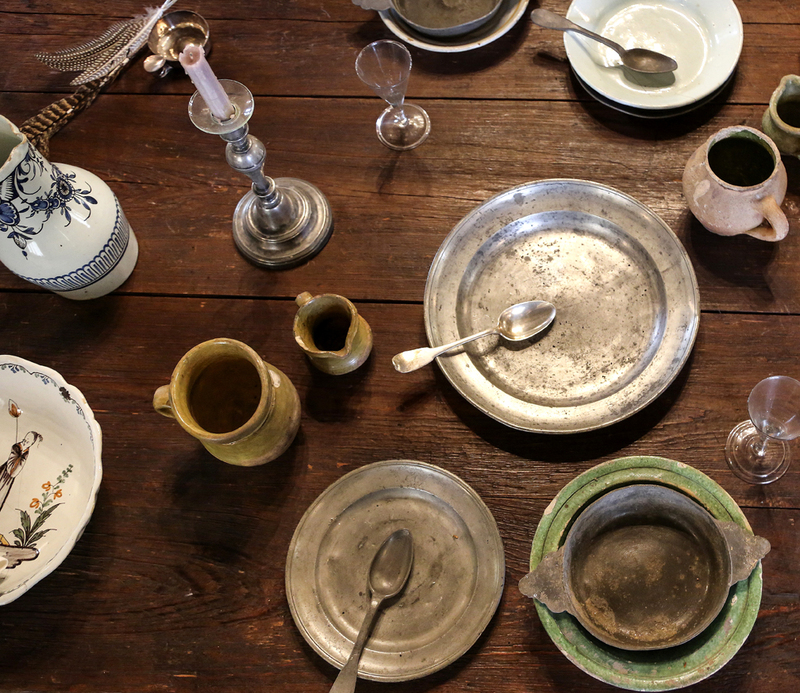 An assortment of pitchers, bowls and other artifacts unearthed during archaeological excavations in Louisiana is displayed on a trestle table in the LaCour House’s smaller room. “It’s just been a great deal of fun, and it’s been really gratifying,” Pat says. The couple has welcomed historians and scholars from around the country to their home, and elementary classes from their grandchildren’s Baton Rouge schools have traipsed through as well. Researchers have studied the Holdens’ collections of Acadian weaving and Louisiana silver, and Hickory Chair Furniture Company copied one of their antique beds years ago. When anyone visits, Pat says she makes certain to share with them the true significance of the items she and Jack have made their life’s work of saving. 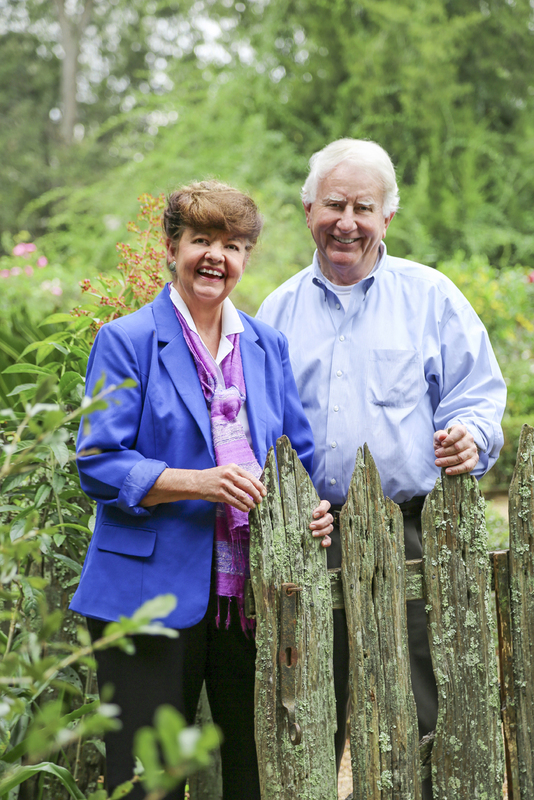 Pat and Jack Holden stand inside the split-cypress picket fence that surrounds the parterre garden at their historic home, Maison Chenal. 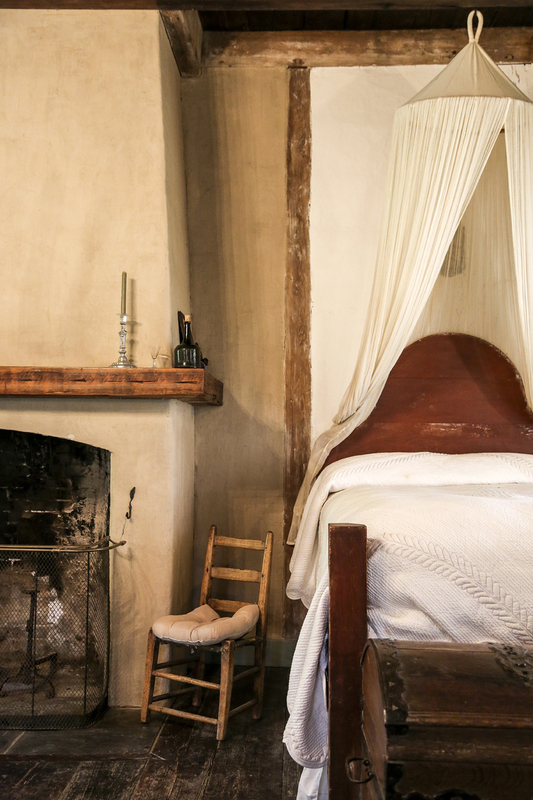 A triangular portion of plaster was removed in a Bayou House bedroom to reveal the rough-hewn cypress framework. 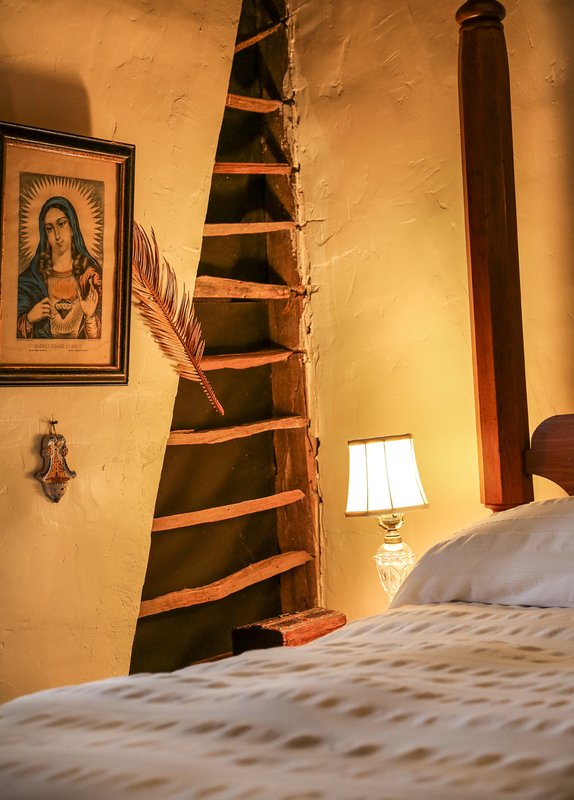 A Louisiana-made low-post bed in the LaCour House is topped with traditional mosquito netting. Atop the fireplace mantel in Maison Chenal's salon are five cups and saucers in an arrangement referenced in a mid-18th-century French encyclopedia. A view from the front of Maison Chenal toward the Bayou House. 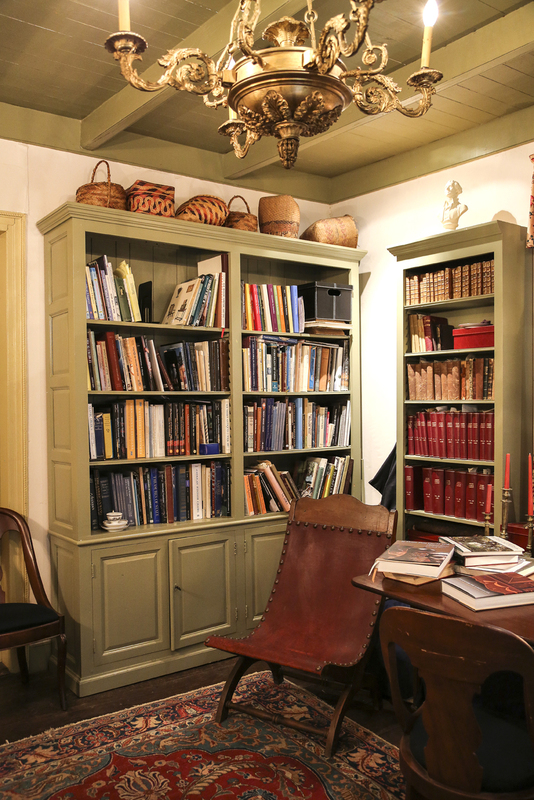 The overseer’s house doubles as a library for the couple’s hundreds of historical reference books, including rare French encyclopedias that help provide insight into their historical objects. A portrait by José Francisco Xavier de Salazar y Mendoza, the earliest portrait artist in Louisiana, hangs in Maison Chenal’s dining room. The subject is Marguerite Farrar Butler, who once owned this land , making the painting a prized possession. The Holdens have their own “Mona Lisa” in this enigmatic smiling lady painted by French artist Jean Joseph Vaudechamp in 1836. The dining room table at Maison Chenal is set with French porcelain and Louisiana silver. 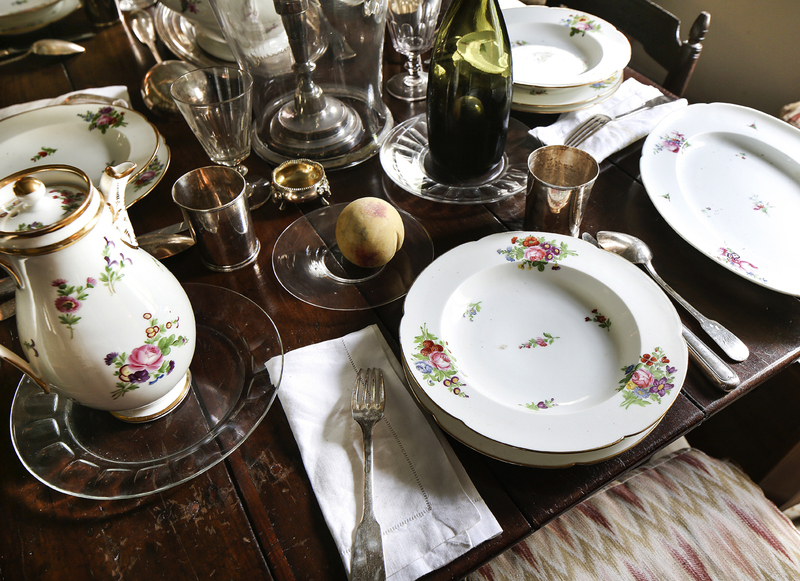 The floral embellishments on the plates and pitchers were traditionally handpainted to disguise cracks and blemishes. A closer look at the exterior of the LaCour House reveals its colombage or half-timber frame. 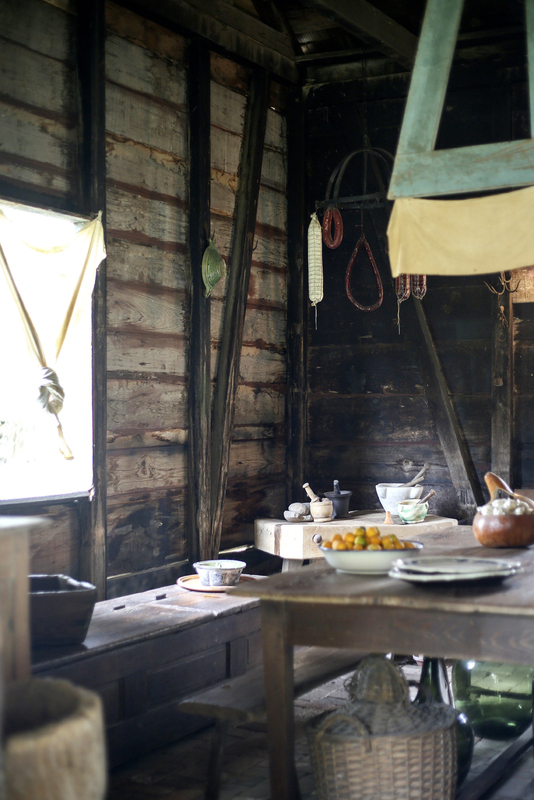 When the Holdens rescued a 160-year-old plantation kitchen building in Natchitoches, their children spent hours pulling up floor bricks and marking them with blue crayon to ensure a perfect reassembly. 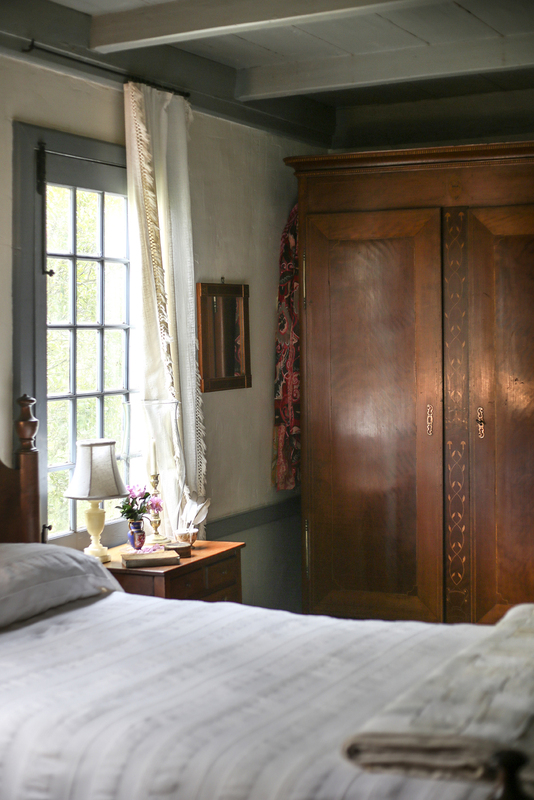 The armoire in this bedroom at Maison Chenal is the “fullest example” of Creole armoire design, says Jack, with its French form and Anglo vine-and-leaf inlay. 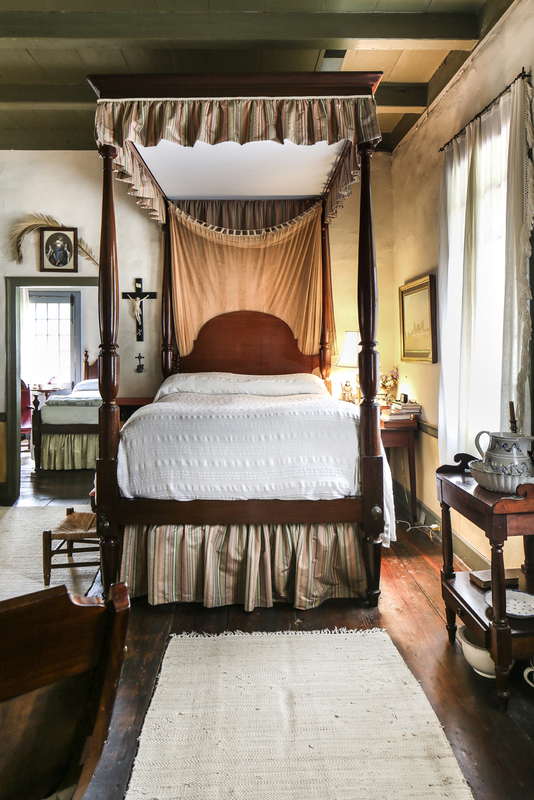 The bed in Maison Chenal’s master bedroom is a classic illustration of Creole style, with its mix of Anglo and French details. The rear gallery of Maison Chenal is seen from the porch of the kitchen building. 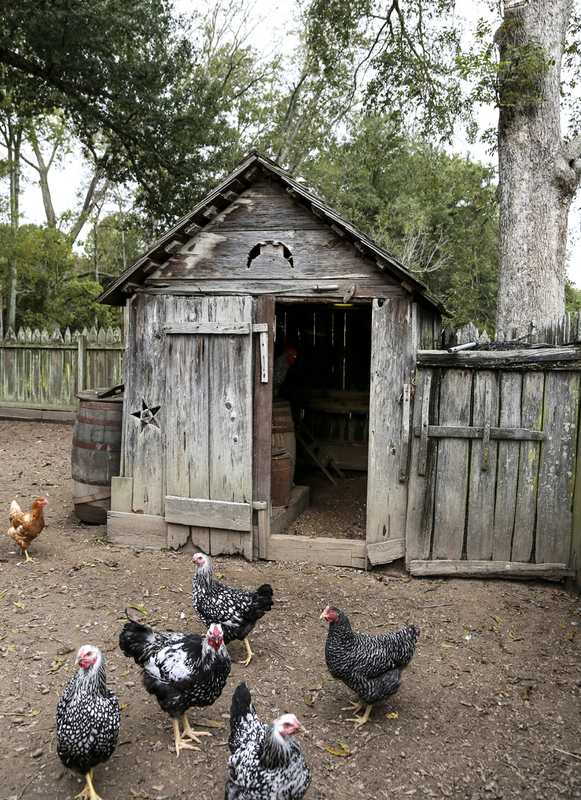 Even the Holdens’ fowl friends have historically accurate living quarters. The poulaillier, or henhouse, bears a series of symbols carved by a Cajun medicine person. A dusty buggy takes cover under the eaves of an old split barn acquired from a farm in Natchitoches.